* No service-learning hours are earned for this event. * Ticket purchase is required (see link). 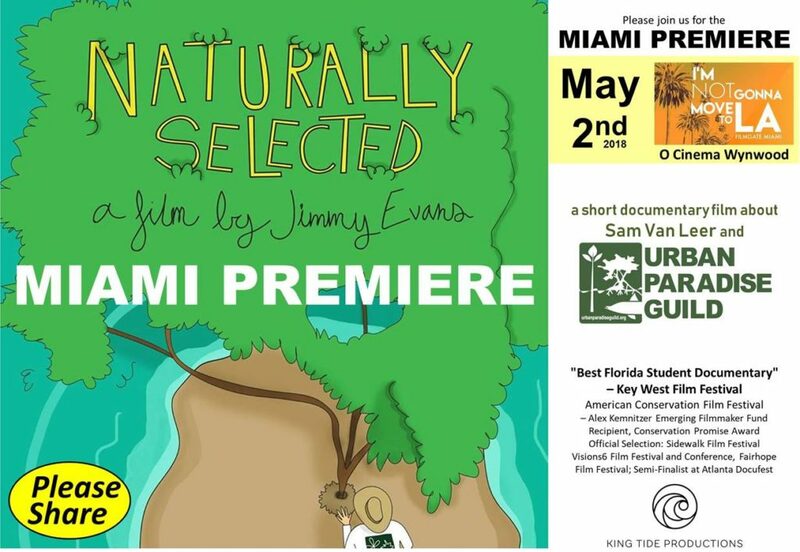 Please join us for the Miami Premiere of Naturally Selected. This short documentary is focused on Sam Van Leer’s work founding and running Urban Paradise Guild, a Miami Non-Profit. It was created by Jimmy Evans with the support from Jack Edmondson, and has won numerous film festival awards.